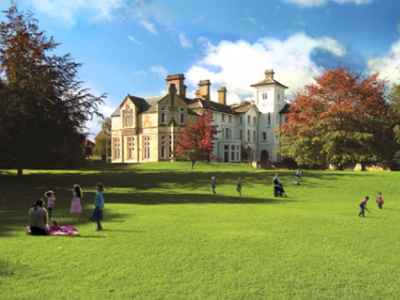 "The kids love escaping to wide, open spaces and running around the great outdoors". We'll be switching off from routine and basking in the balmy, crimson glow of summer before we know it. 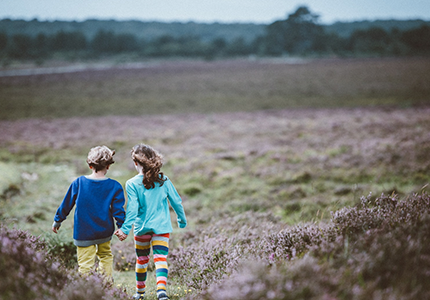 To help inspire you outdoors, we've handpicked attractions from Kinfo appwhere kids can run free and learn thing or two, too. All that fresh air, exercise, healthier food and surplus Vitamin D – and up they shoot over the summer holidays. Record their heights now, a pencil mark against the wall will do, then again in September – and compare the growth. Wow, right? Oh and we have a new playlist for you. You're welcome. A garden to me is a place of reverence, quietude and joy. In summer, it’s the one place that feels energising in the bright mornings and then, as the light becomes more gentle in the afternoon, calm and serene. 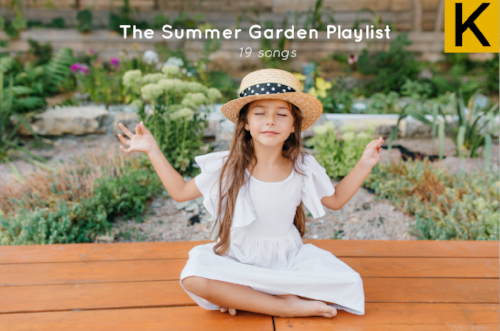 This playlist is for those moments when your children are playing and you are sat reading, ice gently tinkling in your glass as the sun peeks behind the trees. (Or while you are sat dreaming about such a paradise, cos right now your children are destroying the garden 🙀). 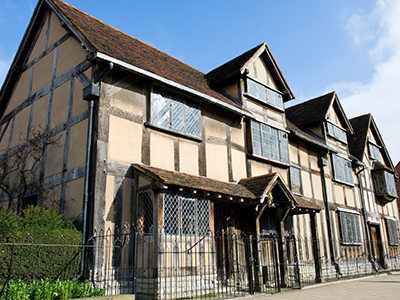 Kids introduced to Shakespeare at primary school will enjoy a visit to this medieval town. "We saw the half-timbered house where he first lived, learned about his family and visited his old school, then drove back via picture postcard perfect villages in the Cotswolds," tips this dad. 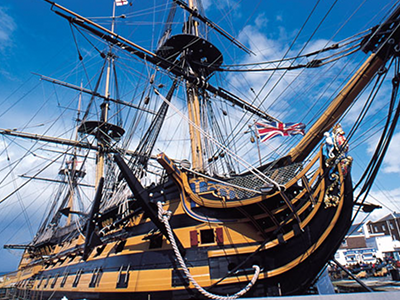 HMS Victory is the Royal Navy's most famous warship. "My daughter liked seeing the spot where Nelson was injured during the Battle of Trafalgar, and the area with fake food," says this parent. Visit all the warships and walk around the dockyard, that'll wear out the bairns! Fast trains run from Waterloo. 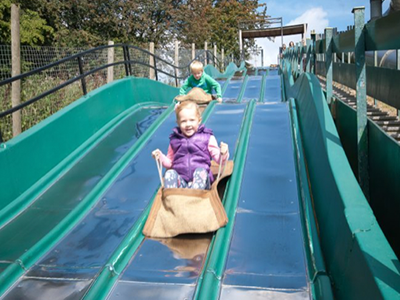 More than 70 life-sized dinosaurs and prehistoric creatures sit along woodland paths. The "amazing" adventure playground, which has an astro-slide for kids over 1.2m, is "where parents can chill," says a mum of 3. More info here. The Ilyria Theatre Group stage a show on August 9th – these guys are brilliant! It was closed yesterday for a certain high profile state visit dinner, but hey if it's good enough for him... This "gorgeous palace" is a short ride up the A40 from north west London. 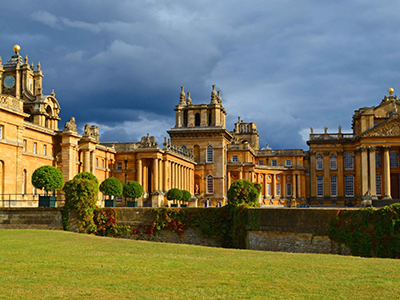 View stately grounds and gardens and check out this weekend's Great British Garden Party of croquet, cricket and cucumber sandwiches, here. A Grade ll listed house with extensive landscaped gardens. "Sandpit, big pond... a perfect afternoon out," we're told. Plus, a children's trail and a garden fete this weekend. 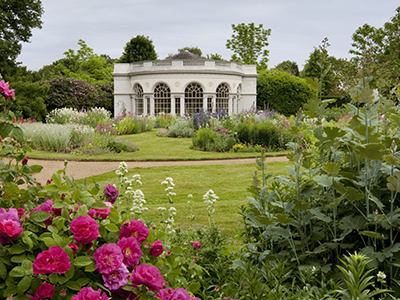 A Georgian neo-classical mansion and grounds past Hammersmith, recommended by a mum of 3. Family fun includes sporty activities – archery, table tennis, volleyball, canoeing – craft cart Thursdays and family gardening Fridays throughout the holidays. Info here. Built in 1116, it was lived in by six of England’s medieval queens and used by by Henry VIII and his first wife, Catherine of Aragon. "Appreciated more by the older kids in the group, there's lots to see inside up until Tudor period. 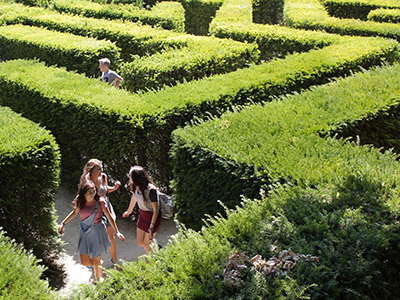 We liked the maze and playground."